Consistent with most other states, economic developers in Alabama have never been considered lobbyists. However, in 2016, an article in the nation’s leading economic development trade publication created some uncertainty on this subject as it relates to Alabama. The article, entitled “The Accidental Lobbyist,” presented a case that a strict reading of the law could mean that economic developers must register as lobbyists under Alabama law. The article sent shockwaves through the state and local economic development community. If economic developers were required to register as lobbyists, the economic development prospects must be made public. There is a widely-accepted practice within the economic development community that company names remain confidential throughout most of the economic development process. Accordingly, requiring economic developers to register as lobbyists would put Alabama at a tremendous competitive disadvantage to our competitor states. This is especially the case with site-selectors, who develop the “short list” of locations for large industrial projects. The top site selectors in the country have said lobbyist registration requirements would kill economic development in Alabama. Alabama would never make the “short list” for these projects, and companies would exclude us because of this unnecessary and unintended requirement. While much of the focus has been on site selectors, this interpretation of the law also affects other economic developers, including: (1) Chamber of commerce staff and volunteers; (2) Professional services providers (e.g., attorneys, engineers, accountants); (3) Businesses supporting ED (e.g., employees of banks, utilities, etc. ); (4) employees of prospects; (5) public employees supporting ED projects; and (6) Industrial Development Authority/Board members. In response to the aforementioned article, the economic development community requested an opinion on the subject from the Ethics Commission. The Commission suggested that this was likely not the intent of the Legislature, and sent the issue back to the Legislature for clarification. The Legislature then passed legislation during the 2018 legislative session, which attempted to clarify that economic developers did not have to register as lobbyists. However, the bill included a sunset provision that expires on April 1, 2019. This bill repeals the April 1, 2019 sunset provision. Under current law, the EDP Alabama Competitiveness Act is unavailable if a person seeks incentives through “legislative action.” Legislative action is not defined in Alabama law but likely includes action by city councils and county commissions. Therefore, the EDP Alabama Competitiveness Act appears to be unavailable when someone seeks approval of abatements and incentives at the city council or county commission levels. Also, local financial or in-kind support of a project requires vote by a city council or county commission under Amendment No. 772. These “772 projects” are very common, meaning that many people—especially local developers—would need to be registered as lobbyists. This bill corrects this technical error. Under current law, the provisions of the EDP Alabama Competitiveness Act for grant programs where legislators have “discretionary control.” Many state ED grant approval boards include legislators as ex officio members (e.g., port credit, historic tax credit, some local ED entities). It is unclear if the authority of legislator(s) over these grants would be considered “discretionary control” such that seeking the grant would preclude the application of the EDP Alabama Competitiveness Act. This provision is difficult to interpret and has created confusion for many local economic development professionals. In order to clarify that economic developers can work with these committees and entities without registering as a lobbyist, the bill deletes this provision. Company Owners – A strict reading of the current statute would exclude all owners of companies from the EDP Alabama Competitiveness Act because owners are not technically “employees.” This arguably excludes most site selectors because they are owners of LLCs. It also arguably excludes partners at law firms, accounting firms, engineering firms, etc. who participate in ED activities. Chamber of Commerce Staff and Volunteers – Chamber staff and volunteers (e.g., chamber board members) are arguably not covered by the current statute because they technically do not seek incentives “for” the Chamber or an employer. Instead, the incentives are “for” the ED prospect that a Chamber hopes will grow in their area. Also, Chamber volunteers are not “employees” of the Chamber or the prospect. City and County Employees – The EDP Alabama Competitiveness Act currently does not apply to employees of cities and counties or other local government instrumentalities (e.g., IDBs/IDAs). These “public employees” who are involved in ED activities are expected to work with local legislative bodies – including those governing their public employer – regarding incentives and ED projects. They also must work with state agencies (Commerce, ADECA, ALDOT) regarding contracts or grants for ED projects. 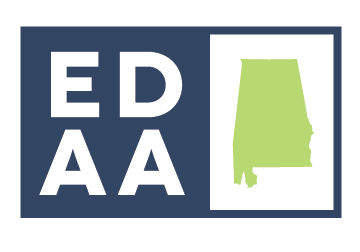 IDB/IDA Members – The current statute creates a situation where IDB/IDA board members (and other local, appointed government body members) who support ED projects before state agencies would need to register as lobbyists because they are influencing state contracts or grants and are not subject to the EDP Alabama Competiveness Act. The same situation would arise if they are working with city councils or county commissions on an ED project.